ESXi 5.1 standalone or ESXi 5.1 managed by vCenter can be upgraded to ESXi 5.5 after the last week’s GA release of vSphere 5.5. While for ESXi managed by vCenter, the upgrade process is quite straight forward by using VUM (VMware Update Manager). The VUM can also be used with Linux based (VCSA), where the VUM must be installed on separate Windows machine and the legacy Windows based vSphere client must be used in order to have the VUM plugin, which is supported only on the legacy Windows client as for now. For standalone (Free version) ESXi 5.x upgrades, things got more complicated as VMware does not provide a download of the ESXi Offline Bundle. The offline bundle is a zip file which allows upgrade standalone ESXi hosts via PowerCLI or via Putty client through SSH session. There is a nice workaround, which allows you to create your own Offline bundle for ESXi 5.5. You’ll need to install PowerCLI on your management station. You can download PowerCLI from this link. Then start a PowerCLI window and enter those commands, where will create the Offline bundle in the current directory. Thanks to Andreas Peetz from v-front.de for this tip. Once the offline bundle is generated, you can upload it to a datastore visible by the host and follow the steps which I described in my article where I’m updating free version of ESXi 5.0 to 5.1 – How to patch ESXi 5 without vCenter. If you want to preserver all NIC drivers and VIBs you have installed on your ESXi 5.1, you’ll have to use “update” switch instead of “install”. 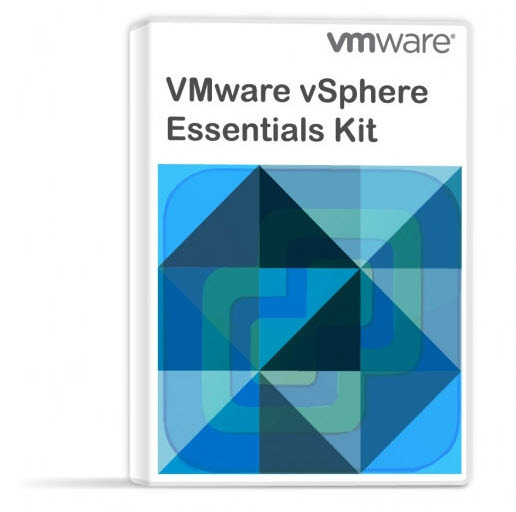 You might want to check out other features of vmx-10 which are listed in my post – VMware vSphere 5.5 – Storage enhancements and new configuration maximums. VMware has created video which shows best practices for upgrading and installing ESXi hypervisor. Basically you’ll need to follow the documentation, which is provided through links which shows on several places when watching the video. If you’re installing vCenter server, you might want to check out two of my detailed posts for installing and configuring VCSA – vCenter Server 5.5 (VCSA) – Install/config – part 1 and VCSA 5.5 Installation and configuration – Part 2. I installed 1 year and a half ago vSphere 5.0 u1. I am not an expert, and I use vSphere to have the availability to test OSs, Networking and so on, so I haven’t learnt too much regarding the system. The installation, with your tips and another I found on the Internet was an out-of-the-box, and it is installed in a Shuttle machine with a HD and vSphere is running in a USB stick, with the whole disk for datastore. Currently, due windows 2012 and windows 8.1 I want to upgrade the system to version 5.5. I have been reading and I know I will have some troubles with the network driver. I have found some instructions, as yours, and I don’t know what of them will I follow…. but, I am thinking in something before doing the upgrade, this is the reason of my post. What do you think if I install vSphere 5.5 in a new USB stick and boot the machine with this stick. – Could be possible to get the current configuration, i.e. having a backup for the configuration files and restoring them in the new usb stick with version 5.5, or do I need to upgrade the whole system? – If possible, it is good to add later the VIB for the network card, keeping in mind I have a compatible Intel and a non-compatible Realtek? – Do you think I will have troubles?. I can’t really guarantee what will work in your situation. Don’t hesitate to share your results -:). The question is that I don’t want to re-create all the configurations. As mentioned, I have lots of VMs, switches, VLANes, routing, firewalls…. working together as it is my test environment to my job. So, perhaps I need upgrade, I think so. But I didn’t thought about storage controllers, and I am more and more worried. What do you think about creating the external USB with a fres esxi 5.5 installation (with ryanbrik method) and trying to add the datastore and import a virtual machine in this brand new system. Perhaps booting it…. it could be a good signal storage controller is good. In this case, can I go back to the 5.0 stick and do the upgrade?